Discount will be automatically applied if you click on it. From my personal experience with the s2member, I’ll simply say it’s an easy and straightforward plugin to use for folks who have worked with WordPress plugins before. However, if it’s your first time working with a plugin, you may encounter some struggles. Because this plugin allows you to do many, many things it means that it comes loaded with multiple options. As such, things might be a bit confusing as you try to figure out which options to take or ignore. The language used for various options isn’t beginner friendly. For instance, it might take you a century to figure out what words like the “API Scripting” means if you’re a non-techie. But the best part is that not everything feels hard for the beginners… some tasks like creating PayPal Pro Forms (for those using the PayPal) is an incredibly simple, straightforward process! And oh! You can make use of the training documents that come with the pro version in case you get stuck using the software. They take away the guesswork with clear explanations for each feature or option. Allow me to make a confession about the s2member plugin- it’s a feature-rich plugin that gives you more functionalities that you’d probably need. In fact, you can do nearly everything with this plugin, unlike most of its rivals. Remember what we said at the beginning of this post… a membership plugin’s primary task is to protect all your site content. Believe me, s2member does this better than most of its competitors. It protects all your pages, posts, categories tags, BuddyPress/bbpress. 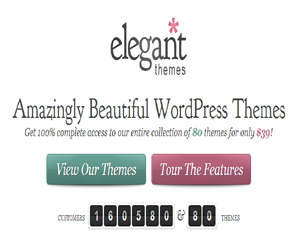 Moreover, it allows you to protect portions of your content within themes, pages, posts, and plugins. I was moved after finding out that the plugin could stop things like link and username sharing. Above all, it protects all your downloadable files as well as streaming audio and video (a rare feature in other membership plugins on the market today). …that are completely separate from membership. Let’s say you want to control access to a particular page. At the same time, you want to create a Buy Now link for it and include additional settings like how long the link should work for your visitors. To make this possible, you’ll just need to install the s2member plugin right now-J. So, whenever users click the buy link, they’re taken straight to the protected content and even emailed the link. No log-ins are needed here. You can even opt to offer a one-time login for your members. When it comes to membership levels, this unique plugin gives you unlimited paid membership levels. Plus it supports a FREE membership level with open registration. The free version in particular lets you enjoy up to four paying membership levels and a free level. Because the levels are always technically tied, it means that membership level two can also enjoy access to all membership one pages. Though this might make it a bit difficult to achieve separate memberships, it has been a non-issue for the many site owners who use the S2 Member plugin. For the non-techies in the house, a shortcode refers to dynamic content that you add to your page to replace strings of code. Needless to mention, this makes things much easier! S2 Member allows you to easily create shortcodes for any pricing structure you can imagine- including free and paid trials. What’s more, you can customize the payment form styles to make them look more appealing to your clients. Feel free to make use of the coupon codes. Decide whether you’d like the user to provide a username and password when making a payment or gave it emailed separately. With the shortcode creation feature, you’ll have an easy time developing PayPal forms as well as payment buttons for other modes of payments and easily add them to any page you wish. Nothing can beat the feeling of customizing your website login and registration pages (including the individual registration fields) to meet your needs and preferences. I have done this over and over again with S2 Membership and believe you me; no other plugin does it better. I have used utilised this feature in customizing my site’s welcome email templates, membership options pages, membership welcome page. It lets you customize just any page! As a bonus, you also get a login widget that you can simply place at the footer/sidebars of your site. This is probably the most favourite feature for all s2member users. Present in the pro version only, it allows you to create specific “Buy Now” products that you can add to any membership level. In other words, it allows you to sell particular products (not meant for a specific membership) to both new and existing subscribers. Heck! s2member comes fully compatible with the WordPress Multiuse, right outside the box. I’m not sure if there’s any other membership plugin that does the same. This should be good news to all folks planning to set up a site using the WordPress Multisite. Doesn’t this automatically turn your dreams of building a site empire into reality? Good news to all code geeks and monkeys! Unlike the other membership plugins you’ve used before, the s2member gives you full access to the source code. And that means you can make your preferred modifications to your hearts of content. Plus you can create API notifications that are event driven. I made one particular discovery with this feature that made me fall in love with the plugin even more. How would you modify the source code to suit your preferences? Starting with payments, it integrates pretty well with the most popular payment methods: both standard and pro-PayPal, Stripe, Google Wallet, Authorize.net, and Clickbank. You can integrate one or ALL of them. For email services, it can easily hook with Aweber and Mailchimp- undoubtedly the two most popular email software in use today. If you wish to use any affiliate software on your site, this is the membership plugin for you. It comes with ShareASale and iDevAffiliate to make your dream come true. Note that it can also integrate easily with any other affiliate software, including WP Affiliate. It also comes fully compatible with the bbpress and BuddyPress- allowing you to setup features like forums without fear of access to your protected content. You might also have too many files in your membership plugin that you’d want to store offsite. In that case, you can make use of the pre-integrated CloudFront and Amazon S3 (they offer you safe storage, protected download, and streaming for all your files). One more integration for those who plan to offer an online course to their members- take advantage of the WP Courseware integration. The main reason for installing the s2member plugin to your WordPress membership site is to help you manage all your users easily while automating as many tasks as possible. That being said, this plugin plays its role perfectly well. Like other similar plugins, it adds new members and updates the existing ones automatically. However, it also allows you to manually add new members, assign them different membership levels, payment preferences, and even their end of term dates. You can as well cancel and upgrade any members you want. I also noted how easy it is to upgrade, demote or delete a large group of members at a go with this plugin which saves you a lot of time. Besides, you can always import/export members whenever you want to, via the CSV files. The shortcode feature also plays a great role in the member management section. You can use it to create profile editing page for your members, cancellation page, upgrade/downgrade pages, billing modification pages, etc. This makes it easy for all your members to control everything on their own. 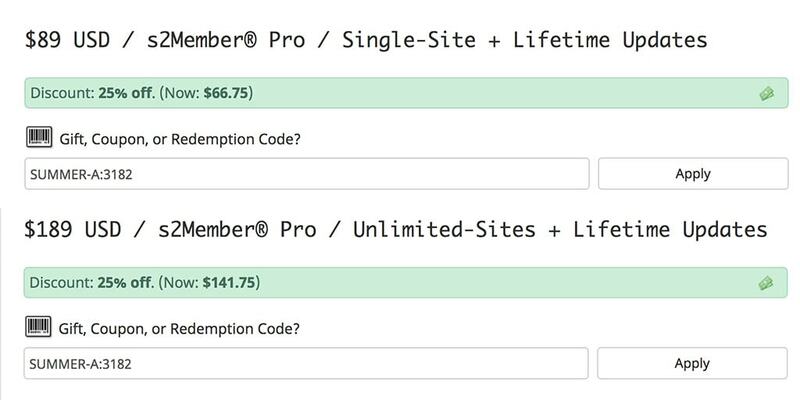 s2member has a unique payment plan, unlike other membership plugins. That is, it offers its buyers a one-time fee, so you don’t have to make payments every month or year. Plus all the updates are free. A great deal it is! -The FREE VERSION: This doesn’t have many differences with the pro version (discussed below). Only that it restricts payments to standard PayPal, gives you a limit of 4 membership levels, and does not support the creation of one-time offers. a). Single Site License rated at $89 only: Ideal for folks with a single domain name. b). Unlimited Site License priced at $189: Perfect for users with many domain names or those operating the WordPress Multisite Network Installation. Remember you don’t have to make recurring payments or pay for any updates. To me, that’s a great bargain; an irresistible offer! With such a huge fanbase, it would be a blunder for s2member not to set up an effective customer support and documentation. Luckily, it has an unbeatable, extensive knowledge base available to all its members. This comprises an intelligent open-community, video tutorials, comprehensive documentation, s2member codex, APIs, KB articles, and 50,000plus forum posts. And oh! Pro users enjoy an email-based support as well! I believe that s2member is the best pick for WordPress member plugin. It presents you with a full range of the features you need to gain total control over access to your site content while making it easy to collect payments from the members, create various membership products/levels, automate important tasks, and so much more. The software is incredibly easy to use for experienced users, and newbies can always rely on the quick start guide to navigate through it without much struggle. It also boasts of excellent support and documentation to make your life much easier. Above all, it comes with pocket-friendly packages- including a FREE version- making it a highly affordable software.